1. Separate garlic bulb into cloves, and peel. 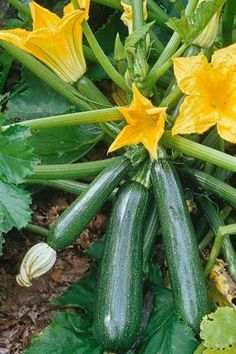 Cut into lengthwise strips. 2. Using a sharp knife, punch holes into steak. Stuff holes with garlic strips. Cover and refrigerate for at least 4 hours. 3. Preheat grill for hot heat. 4. Lightly oil grate. 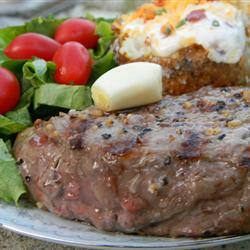 Place stuffed steaks on hot grill, garlic side up. Cook for 4 to 5 minutes, turn, and season with salt and pepper. Continue cooking until done, another 4 to 5 minutes. 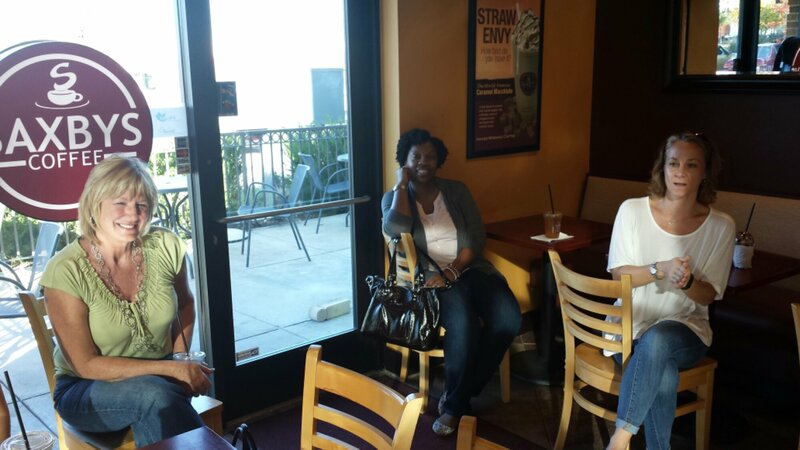 Good food + good company = a good time by all. 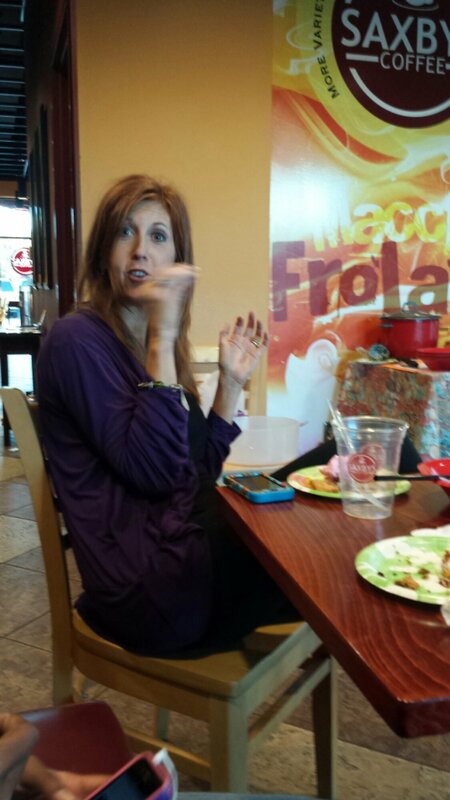 I enjoyed meeting new Murphy friends, talking “Murphy” and exchanging cooking secrets. 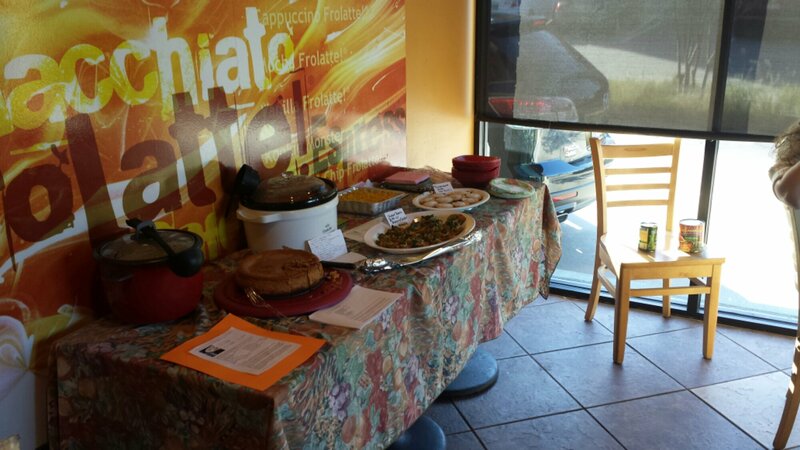 Each participant at the Swap had a chance to sample recipes and later received a copy of each recipe. For the first time, I tried Mincemeat Pie and found that I liked it. Look for future AT. Deeds events in Murphy. 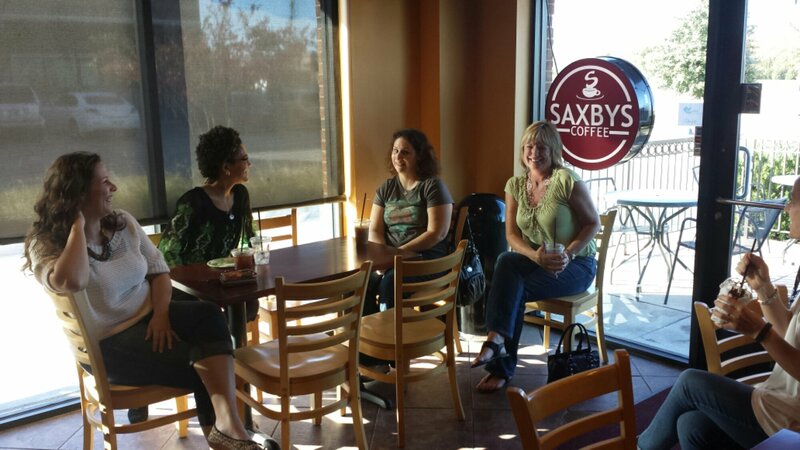 Please join me on November 17th from 3:00 to 5:00 p.m. at Saxby’s Coffee in Murphy. We will be sharing recipe ideas so we can freshen up our Thanksgiving menu this year! Please bring samples of your recipe…enough to feed about 20 people. RSVP’s appreciated! Hope to see you there! Not your average black-eyed pea recipe – Click “like” if you are tempted to try this recipe! Every New Year’s Day, I have to eat black-eyed peas, cabbage and rice. My mom said if I didn’t have my peas, I was not going have good luck for the year. I have a vegetarian recipe that I like to serve on New Year’s Day, but I really don’t eat Hoppin’ Johns any other time of the year. This may change. The other day at my Ebby office’s Annual Black-eyed Pea Luncheon (the speckled pea may be key to our #1 ranking in the Dallas area! ), I had a delicious version of this dish. It puts the Hop in the Johns! 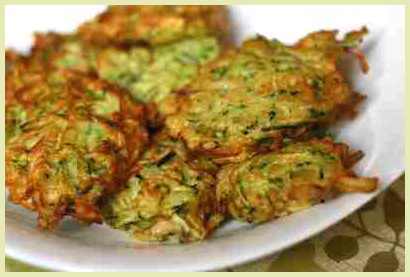 Click the like button if you are tempted to try this recipe. fridge, best if chilled over night. Two lunch box favs in one – cookies and potato chips. 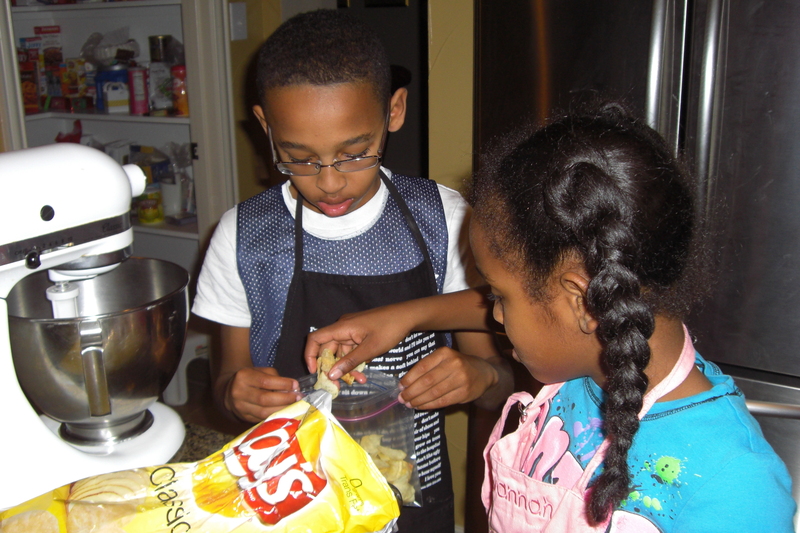 Butter, flour, crushed chips and sugar are blended to make fabulous short bread cookie. 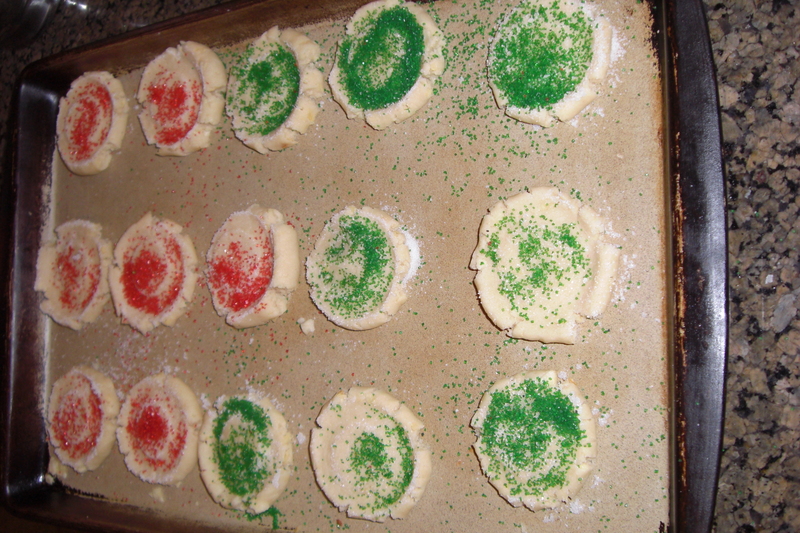 The recipe is so simple I had to share in case you needed a last minute cookie idea this holiday season. 1. Cream butter, sugar and vanilla until smooth. 2. Slowly add flour, crushed chips and nuts. 3. 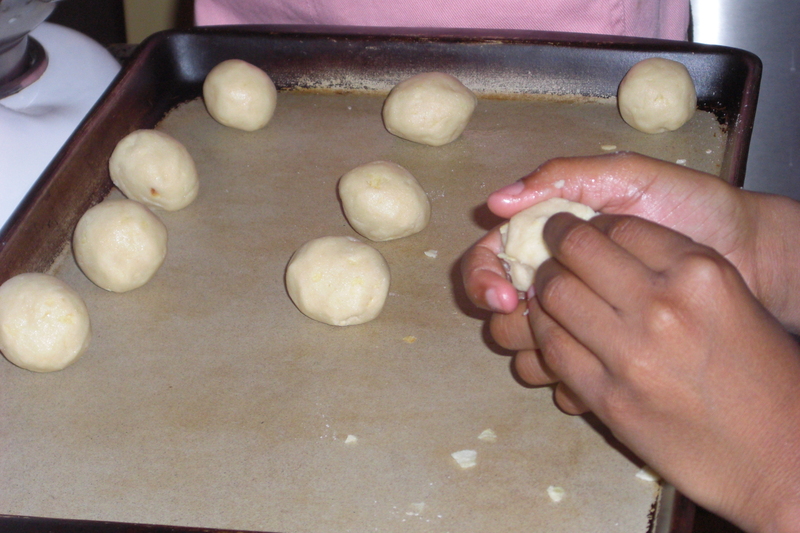 Take a piece of dough and make a ball. Place the ball on the cookie sheet. Dough will be kind of dry. 4. Dip the bottom of a glass in a little water. Then dip the glass in some sugar. 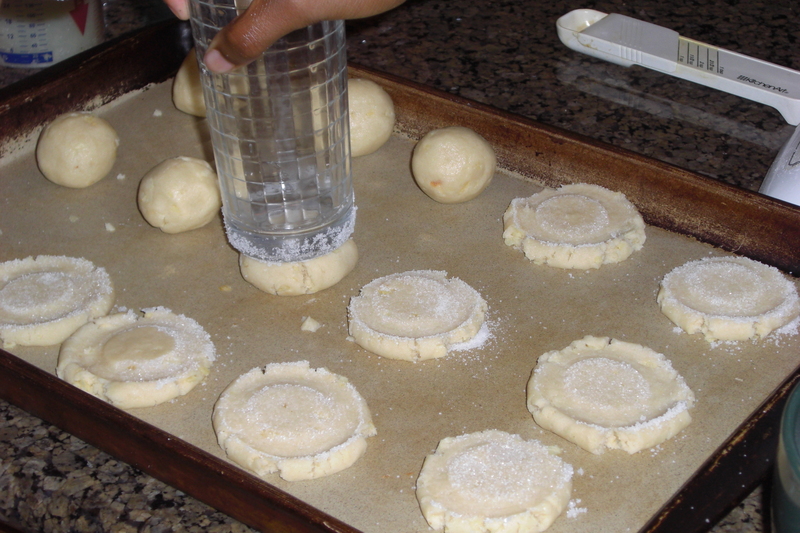 Flatten the dough ball with the glass. 5. Add more sugar on to cookies if you want. 6. Bake in a 350 degree oven for 12 minutes or until lightly browned. 7. Let cookies cool and enjoy. I did not add nuts to the batter. Instead I added nuts on top of a few cookies. 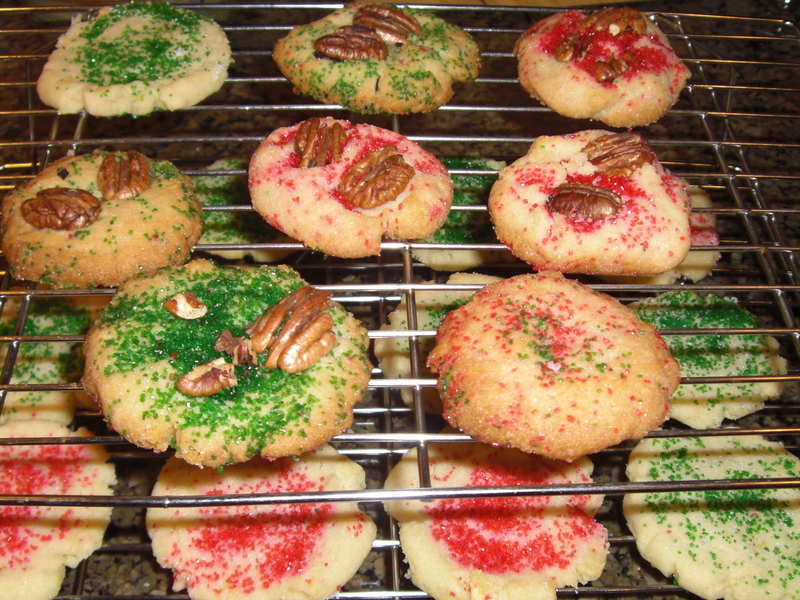 Tip: To keep cookies moist, add a piece of bread or an apple core to the cookie jar. Nanny Woods was one of my best girl friend’s grandmother. While looking through her grandmother’s things, my friend found this recipe and shared it with me. Take 1 Oreo apart. This will be the base. Place the whole Oreo on its side on the base, so that it sticks to the white of the Oreo. If you have trouble getting it to stand up, you can put icing on the flat Oreo. 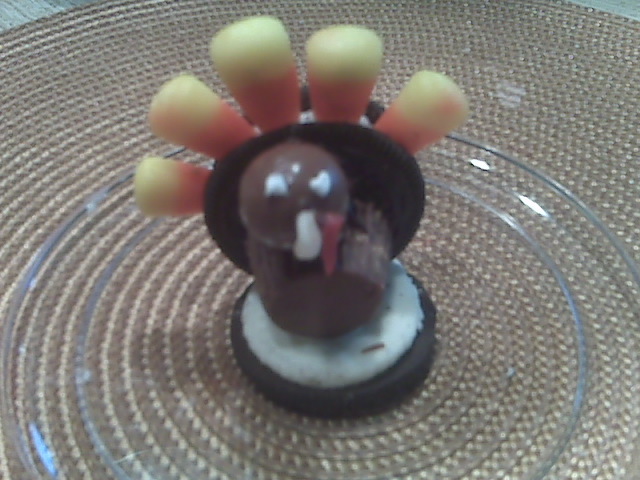 In front of the Oreo on its side, place a mini Reese’s Cup for the body and a Whopper for the turkey’s head. Use icing to stick the Whopper onto the Reese’s Cup. Place candy corn, points down, in between the Oreo cookie that is standing on it’s side. Use icing to put mini M&M’s onto the Whopper to make the turkey’s eyes. Break off the end of a candy corn for the beak. Use the icing to stick it on the Whopper. Use the red Mike & Ike for the waddle. Use icing to stick it to the Whopper beside the beak. Such an easy and delicious dip to make. I took it to the Pumpkins on Post Oak party and it was a hit!